We all know that the wrong rental car can turn a great trip into a nightmare! If you have booked a vehicle to fit in the whole family and your luggage, and you arrive to find that the only vehicle left is a 5 seater with a tiny boot space, it can dramatically affect your whole time away! Here at Five Star Car Rentals Brisbane office, our customers are our priority. Our family owned car hire company provides cheap car rental whilst maintaining amazing customer service. 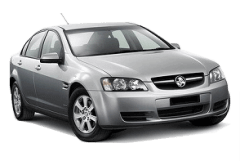 We will make sure that your Brisbane car rental experience is stress free as well as economical. 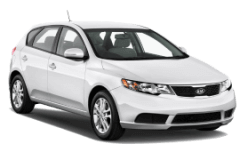 Five Star Car Rentals Brisbane have a great range of comfortable vehicles to suit your needs. From small economical hatchbacks through to large sedans, wagons, SUVs and even people mover vans, we have your travel requirements covered. Our vehicles are clean, safe and reliable and you can rest assured that the great price you are quoted will be the final price, with no hidden fees, levies, charges or surprises. Family car hire in Brisbane is our specialty. Five Star Car Rentals Brisbane are proud to offer very competitive, all inclusive prices, low insurance excess and free airport pickup and drop off during business hours. With our office located only 5 minutes from Brisbane Airport you’ll be on the road in no time! Our Brisbane rental cars have a range of handy items including rear and forward facing baby seats, booster seats and GPS/Satellite Navigation units available for hire. If you are looking for a Brisbane Car Rental company you can count on – go Five Star all the way.